Beyond story telling, what is there to know in the world of content marketing? Plenty! From creating a strategy to audience development to visual content to finding the “real” ROI of a content marketing program, there are numerous components that make up a great content marketing program. 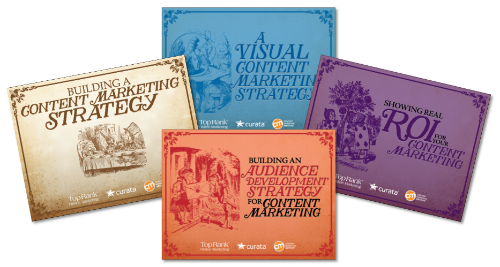 To help marketers all across the content marketing globe put these essential marketing pieces together, TopRank Marketing and Content Marketing Institute with sponsorship from Curata, are published a series of eBooks: Content Marketing in Wonderland. Along with the eBooks, TopRank Marketing published infographics, speaker interviews and quotes shared across the social web. 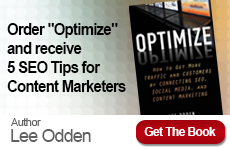 You can find all of these content marketing goodies at TopRank’s Online Marketing blog. 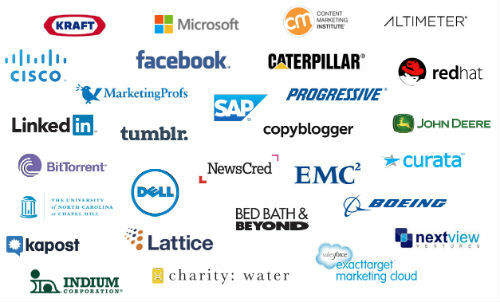 Who are these content marketing experts? To create these eBooks of content marketing wisdom, we’ve collected insights from major brands and thought leaders that presented at the #CMWorld conference. These world-class content marketers have included all-new ideas, strategies and practical advice to help make your content marketing world a successful one. The program involved 40+ marketing industry influencers from major brands including: Altimeter Group, Caterpillar, Indium Corporation, charity: water, Bittorrent, Bed, Bath & Beyond, SAP, John Deere, Lattice Engines, Kapost, Progressive Insurance, Boeing, MarketingProfs, ExactTarget, Copyblogger, Red Hat, Facebook, EMC Corporation, Cisco Systems, Tumblr, Microsoft, LinkedIn, Dell, Content Marketing Institute, NewsCred, Kraft Foods and more. Develop an opportunity for influential speakers to participate in content creation that would promote their presentations, the CMWorld conference and create a useful and infotaining resource for all marketers interested in content marketing. Influencers were drawn from the roster of nearly 200 speakers for the event. Based on identified criteria and data collected through a mix of tools including Traackr and Buzzsumo (both provided to TopRank), influencers were identified, qualified, recruited and engaged to provide advice according to one of 4 themes (Content Marketing Strategy, Audience Development, Visual Content, Content ROI) that coincided with the programming of the event. Insights provided by the influencers were compiled according to theme into 4 Visual eBooks. Each eBook was complemented by a long form interview with select influencers and posted on TopRank’s Online Marketing Blog. Each Visual eBook was also supported with an infographic (4 in all) featuring Tweetable quotes from each influencer. All assets were supported with social shares on Twitter, Facebook, LinkedIn and Google+ from participating influencers, CMI, Curata and TopRank Marketing. Primary objectives for the program were conference awareness and speaker/influencer exposure measured by page views, and leads for the underwriting sponsor. Leading up to the conference (mid Sept), the eBooks earned thousands of social shares, over 145,000 views on SlideShare and 20,000 page views on TopRankBlog. By the time the conference was held, there were 2,000+ PDF downloads, 800 leads and 200+ event referrals. The net result of the program was substantial and sustained exposure for the conference, speakers and sponsor leading up to and after the event. 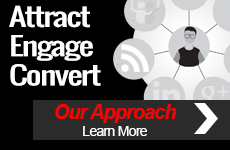 Of course TopRank Marketing benefited from exposure through virtually every single content asset, social share and download resulting in numerous inquiries and several ongoing consulting engagements and projects. Overall it was a successful campaign and is the reason we’re producing another conference eBook program for CMI in 2015 – the 5th year in a row. We hope you enjoy this content marketing eBook series whether you’re starting to plan for the rest of this year and into the next or your company is expanding it’s global content programs. If your company, conference, publication or event is interested in developing an influencer content marketing program, please contact TopRank at: results @ toprankmarketing dot com or call us at 1-877-872-6628.